The weather wasn't quite cooperating. We arrived the night before in Conwy with the intention to sleep on board. Arriving in the dark, on the Jetty, the 100m stretch of water looked like the Swellies during a spring. 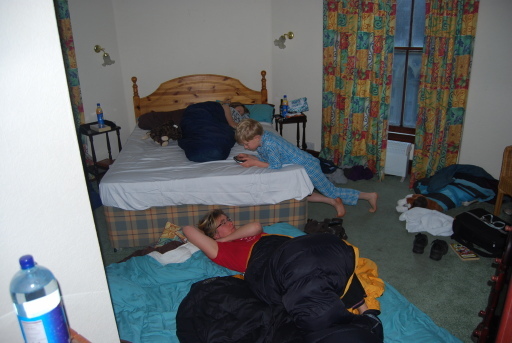 We opted for a local hotel room instead of risking the crossing with a possible detour via the Isle of Man. The first boat was a Jaguar 25, laying ashore in Holyhead. Looking very promising on the internet, our hopes were high. It was in a very good condition, but the internal layout was a disappointment. The double bed would comfortable fit 2 Welsh dwarfs, but was clearly not build to hold the average Dutchman. The quater berth would fit one person, but the second would be unable to turn, as a woman's hip did not fit under the cockpit. The boat also relied on an outboard, which did provide some extra internal space, but was felt not to be ideal in a bumpy sea. So on we went to Pwllheli. 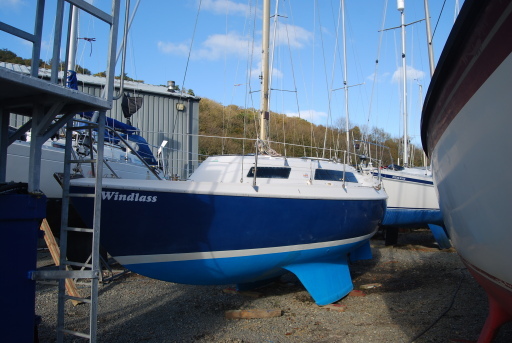 We saw various boats in Pwllheli, only one was impressive, which was a Sabre 27. Normally not a consideration for a man, but size was the problem here. 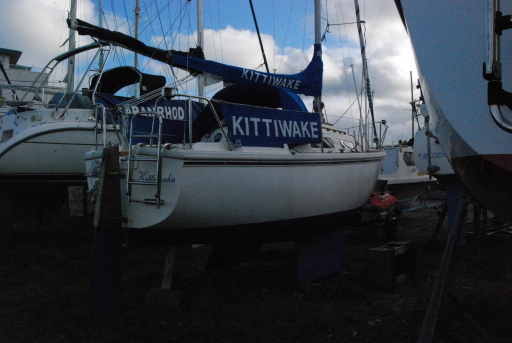 On our trip to Beaumaris, we were looking at a Tomahawk 25. Quite a nice boat but as so often, the owner had not cleaned up in the boat (to be fair, she only just come out of the water), but conditions felt cramped inside. Next we went to see a Westerly Griffon, and here the planned budget started to creep up. Although we looked at 2 other boats in Conwy, the Griffon clearly impressed us. A nice spacious interior with a lot of wood. Once of the seats folds out to a full size double berth and storage space everywhere. This Griffon needed quite a bit of work doing, but more importantly, the owner seemed absent or unwilling to provide details for the boat. 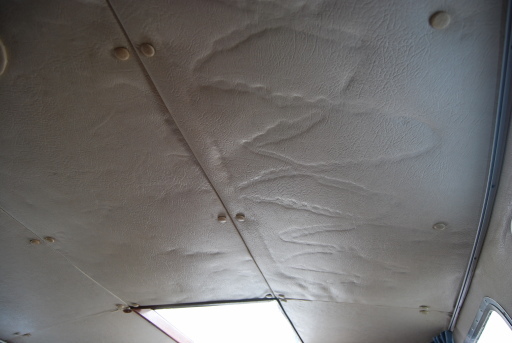 We would prefer the seller to be able to show the ins and outs of the boat before we committed ourselves. And here came Hazel Anne in, another Griffon based in Bangor, in the picture. 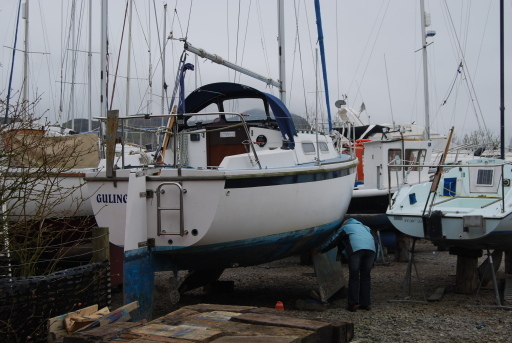 Although more expensive, the owner was prepared to sail her with us back to Conwy. This meant we would have a much better understanding of the boat, minimising the chance of testing our knowledge out on a Lavan Sands sandbank.